According to the CNBC, about 61 000 Gen Zers are on the verge of entering the workforce and consumer market in the US alone. They are digital natives; they have grown up in a world of vines, txts (yes, we know) and internet. Their attention span is shorter than ever, they are more connected than any other generation, and they are brilliant multitaskers. Gen Z is a more tolerant generation but also more cautious; studies have found less risk-taking amongst this group and an increase in thoughtfulness and questioning authority. So, on the one side of this coin, how do you market your company to this generation? Be upfront about your business, what you’re doing and how you’re doing it. They have lost faith in corporations. Thus, you must stop relying on and hiding behind small print. Yes, you need terms and conditions to protect your company, but when it looks like a miracle weight-loss advert of the 80s (“Eat anything you want just take this pill. Ts&Cs apply.”), you’ll lose customers. Gen Z consumers want to see you are real; they don’t want models or celebrities but regular people who can assist them in a manner that speaks to them. And they will hold your business is socially accountable. Instead of producing millions of T-shirts at the cheapest possible price, they want local, equality and free-trade, and they want to know what businesses are doing for the environment and society. Gen Z won’t accept your claims at your word; they want to see evidence in your company culture. A jewellery purchasing study has found that most Gen Zers don’t have a preferred shopping platform. What this means is your messaging, availability and culture need to be spread evenly across all contact points – sales, call centres, website and digital advertising. In fact, many Gen Z consumers rely on mixing their contact points. That being said, they want immediate action. If they see something they want online, they will go to the shop just to have the item right now. More than immediacy, they also want custom-made or made-to-order products and services. They shy away from traditional made-to-stock methods, which creates plenty of room in the production industry. We have to always remember what was mind-blowing inventions to other generations are the norm for Gen Zers. They hold brands and businesses to high expectations, and instead of being loyal to brands, expect brands to be loyal to them. As Gen Z is more focused on individuality, they are also proving to be a generation with a high entrepreneurial output. All this shows that they don’t want the norm; they don’t crave what’s new today, they want tomorrow, sustainability and innovation, and they want it now. On the other side of the coin, how do you attract this generation to work at your company? In much the same way. As much as you are hiring them based on what they bring to the table, so too are they looking at what you can afford them. But, they don’t just want to hear you tell them about the benefits, they want to see it – and they are not after just money. Gen Zers want to be financially secure, but also one that is fulfilling; one where they find purpose in their jobs and company. Gen Z employees don’t want to work eight to five, they don’t want to be chained to a desk, and they don’t want to be micro-managed. Give them flexibility on how they want to conduct their work and how they can communicate with their colleagues. Create an understanding workspace for their needs and help them improve their skills – for instance, it’s been reported that a stumbling block for Gen Zers is communication. Growing up with emojis and text messages make face-to-face conversations, business calls and writing emails difficult for them. Gen Z employees want to work hard and grow their skills. Even though they’re growing up in a super-paced society, they want to climb the corporate ranks at the given speed. What they crave, with urgency, is gaining value from their jobs. They are lateral thinkers, and their creativity is not just outside the box but has broken the box completely. 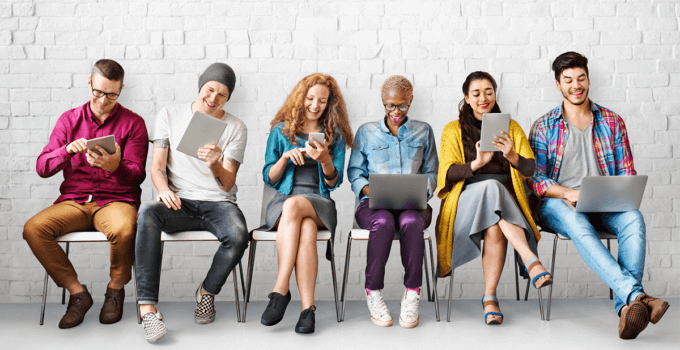 Gen Z is incredibly tech-savvy, and they will challenge the systems and procedures you have in place if these are not providing the needed speed and data required. Thus, they crave to work in an environment where they can push boundaries and ultimately help the company move forward. Hiring from the Gen Z pool can provide you with innovative insights into your business that can grow it towards tomorrow’s giants. The only way to be sure you are future-proofing your business is by guaranteeing it caters for future customers and employees, by relying on forward-thinking enterprise resource planning software, for instance. Epicor ERP software ensures that their clients stay agile and innovative through trusting top minds to build and develop intelligent systems that open doors for Gen Zers. It’s Epicor’s innate tech-savviness that allows them to visualise the landscape of tomorrow and develop the software to support it today.